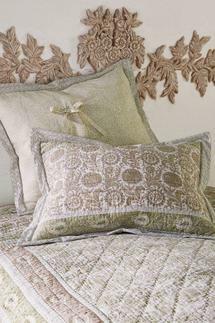 Named after the famous ancient gardens of the Mughal empire, our Shalamar quilt hosts an Eden's worth of Indian florals, leafy tendrils and vining paisleys in fresh, feminine shades of soft blush and pale green. 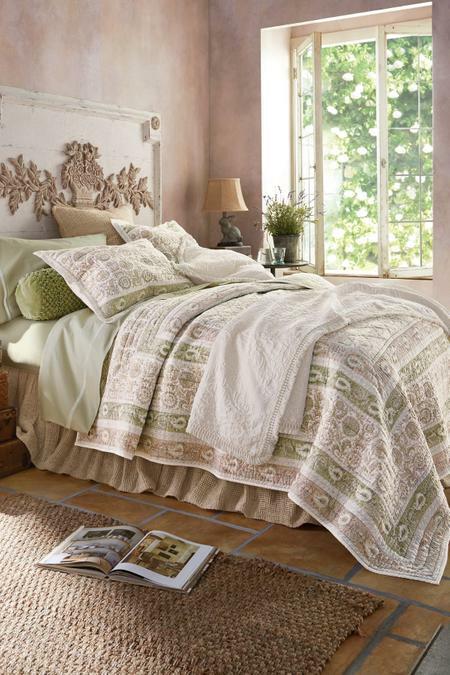 Meticulously hand-blocked and stitched by skilled artisans, variations in color and patterning make each one unique. Cotton. Machine Was Cold, With Similar Colors, Gentle Cycle, Only Non-chlorinebleach When Needed, Tumble Dry Low, Cool Iron If Needed, May Be Drycleaned.